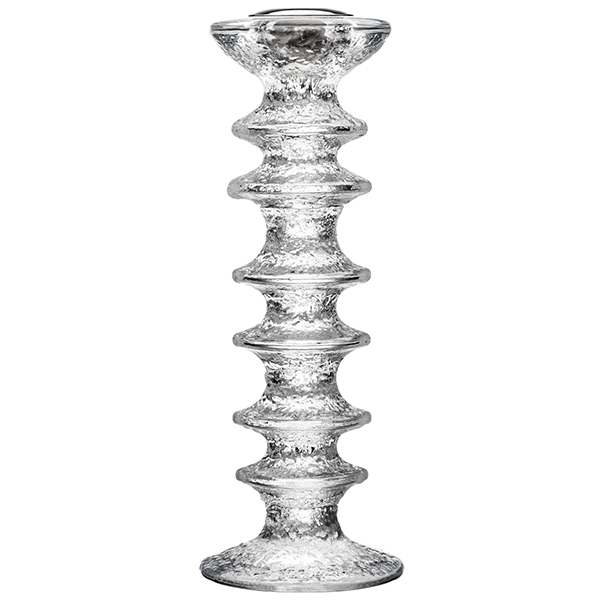 The Festivo candleholders were designed by Timo Sarpaneva for Iittala in 1966. 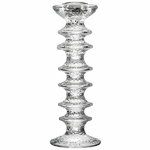 The striking glass objects feature an ice-like, textured design and come in various heights. 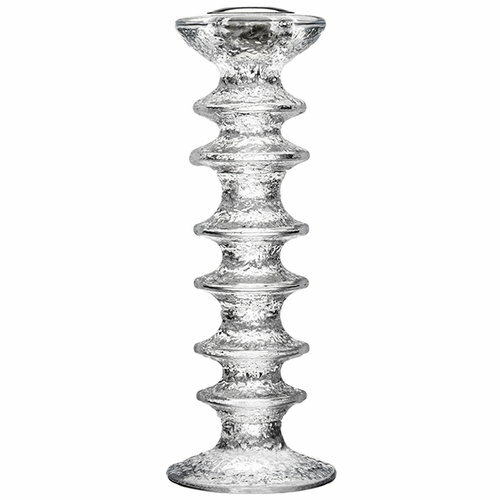 Create a beautiful candle display with a single or several candleholders – Festivo is a timeless Finnish design classic that will suit any setting and style. Since autumn 2016 the Festivo candleholders come with a non-removable metal candle cup that suits a larger range of candles and prevents the candleholder from breaking, should the candle burn out.